Darkness cannot drive out darkness; only light can do that. Hate cannot drive out hate; only love can do that. ~ Martin Luther King, Jr.
My heart goes out to the all the victims and their families of the Boston Marathon bombing. Martin Richard, Krystle Campbell, Lu Lingzi all died from this heartless act. MIT police officer, Sean Collier, who was ambushed and killed by the two bombers early Friday morning, along with Richard Donohue, the MBTA officer who was wounded by the suspects. So many self-less courageous people stepped up to help the wounded, moments after the blast. Their minds, along with the many witnesses (including children) are permanently engraved with memories of a warzone. Memories that no one should have to keep. I am so grateful to all those involved that brought a swift end to the ordeal. Our brave law enforcement, Massachusetts governor Patrick and Boston Mayor Menino, who should have been recovering in a hospital bed, all worked tirelessly to ensure our safety. A special prayer of thanks goes out to the Watertown citizen who alerted police after he was brave enough to peek under the covering of the boat in his backyard, finding the injured suspect! I can’t imagine how lucky this man must be feeling this morning. Lucky that he wasn’t harmed or killed by the suspect, and lucky that he didn’t wait until morning to look in his backyard, as the suspect could have escaped or perhaps died overnight. I think God was certainly watching over Boston this week! One last thought. 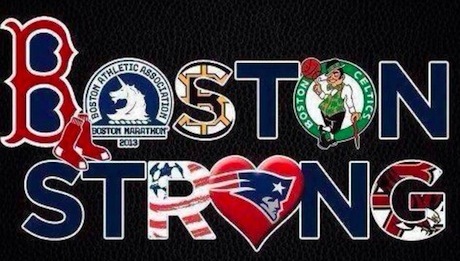 Our Boston tragedy has overshadowed the devastating explosion in Texas, and my thoughts are also with those victims. 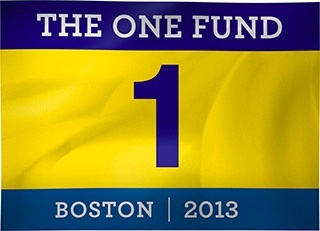 Author debbie @ That's Just MePosted on April 20, 2013 Categories FoodLeave a comment on Boston Strong! April Week Three Healthy Food Budget: $77.19 for a total of $278.51. That leaves $106.39 for the rest of my monthly budget. I’ve reduced my April food budget to $385, which will bring the total year estimated food budget down to $4700 (down from my original $4800 projection). It would be nice to drop it another $100 by the year end, but we’ll see. So, there are 11 more days left in the month, I’m planning to purchase some local grain flour from Four Star Farms next week, with a trip to Whole Foods Market in Cambridge, and possibly more veggies at a Farmers Market this weekend. There shouldn’t be any problem sticking to my revised budget amount, but the temptation of take out does mess me up sometimes! Ha! (Wed) Seven Acres Farm $7.50 for 2 dozen jumbo eggs. Note: I bought a couple of cartons of eggs from the grocery (Pete & Gerry’s and Born Free) and I’ve found I like my farm fresh eggs better. They’re JUMBO huge eggs, and fresh as could be. I’m sticking with Seven Acres farm! And they’re celebrating their 75th year! Gotta support our local farmers! (Fri) Market Basket $14.15 for Applegate Farms Sunday bacon (sale $4.99), 2lb bag o’ clementines, organic apples, minneola oranges, and bananas. My healthy budget goal is to eat seasonal (local if possible,) home-cooked meals while sticking to a $400 $385 monthly budget for all food including groceries, dining out, entertaining, vitamins/supplements, and gardening. Teddie Organic Peanut Butter – Grown in USA? I’m very careful when I buy nut products, always checking to find the country of origin. A lot of nuts (organic and conventional) like cashews are grown in Asia and I rather spend a little more and buy nuts labeled as grown in the USA. Recently, I have been learning that conventional peanuts are very bad for us. A lot of pesticides are used when growing conventional peanuts, and there is even talk of GMO peanuts being grown to help with allergies. Ugh. So, we’ve been eating almond butter, which is yummy. I’ve been buying Trader Joe’s almond butter. It’s not organic, but it’s delicious with no added oils or salt. This week Teddie brand organic peanut butter was on sale for $3.99. 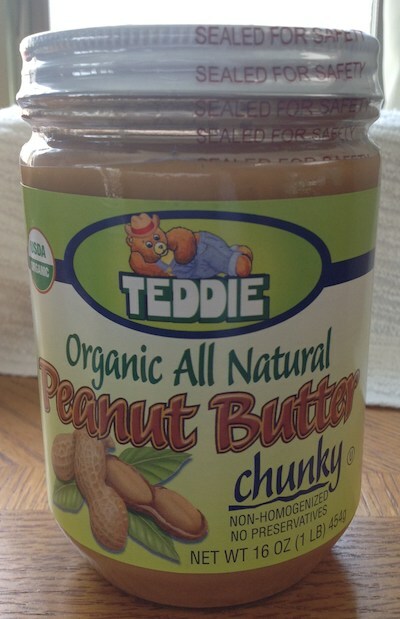 I love Teddie peanut butter; it tastes fresh and delicious, and it’s offered in glass containers. A lot of peanut butter is sold in plastic. Funny, I distinctly remember disliking Teddie peanut butter as a child, it didn’t taste like the normal salt/sugar-laden Skippy and Jif because it was “all natural” – probably the ONLY all natural peanut butter available at that time. I remember my mom buying it in a large tub. Anyway, Teddie peanut butter is made by a local company here in Massachusetts and the label for their regular natural peanut butter states that the peanuts have been grown in the USA. All good, right? We are proud to note that our products are market leaders in the areas we serve. Teddie Old Fashioned Peanut Butter, the Number 1 selling natural peanut butter in the Northeast, contains 100% fresh roasted and ground, USA grown peanuts providing the most wholesome peanut butter available. 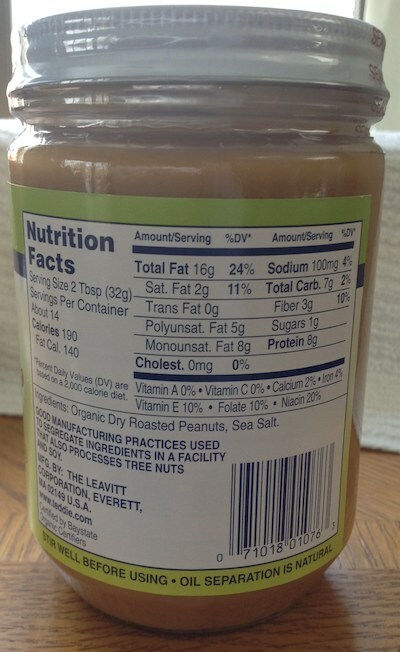 It made me curious that they didn’t specifically state that “all their peanut butter…” so I phoned Leavitt Corp this morning and she was very adamant that ALL their products were made with peanuts grown in the USA. After I hung up, I was happy, but then my paranoia set in again. Why didn’t their organic peanut butter label state USA grown? What if the person I spoke to didn’t really know, and was only stating what she thought was fact? For over 100 years, we at Leavitt Corp, purveyors of Teddie peanut butter, have devoted ourselves to providing our customers with premium peanut butter made from only the highest grade USA grown peanuts that will consistently deliver great taste. Nothing less. That makes me feel a lot better, but I still wonder about their organic label. For now, I only purchased one jar of Teddie organic peanut butter. We’ll continue to use peanut butter once in awhile, but I think we’ll also concentrate on other nut butters, like almond butter, hazelnut butter, sunflower butter. I need to find a way to make almond butter at home. I tried once in my food processor, and it was a failure. More googling is needed, but maybe I need to roast the almonds prior to grinding. Author debbie @ That's Just MePosted on April 16, 2013 April 16, 2013 Categories FoodTags GMO, organic, peanut butter, peanuts, Teddie peanut butter4 Comments on Teddie Organic Peanut Butter – Grown in USA? Even though I spent over $100, I feel good about my spending this week. With almost $200 left for the rest of the month, I’m confident I’ll meet my budget. I’m actually hoping to reduce my April food budget to $380, but we’ll see. We splurged on a nice lunch last Saturday. Almost $30 was more than we like to normally spend for lunch or take-out, but it’s nice to splurge once in awhile. To compensate for last Saturday, last night, I made a homemade Italian calzone, instead of opting for take-out. It cost less than $5 and was absolutely delicious. Yes, it was totally unhealthy and decadent with white flour and loads of deli meat, but if we are going to have “junk food” it’s better to make it myself, right? DH is already trying to convince me to buy Chinese take-out tonight because we saved last night. Ha! There was some stock-up spending this week. Almond butter and raisins/nuts at Trader Joe’s. Four lbs of chicken breasts at Whole Foods, which I promptly baked and froze for 4-5 weeks of meals/soups. I bought a lot of fruit and vegetables, including a splurge for a container of Olivia’s lettuce greens (I was craving salad). It’s good because I’ll have enough veggies to last the upcoming week, but I’ll need to buy more fruit soon. My canned/frozen summer tomato stock is still strong, but my grape jam is dwindling down. I do have lots of jars of grape “syrup” that I could boil down into jam (adding some Pamona’s pectin) but commercial fruit preserves might be necessary. My healthy budget goal is to eat seasonal (local if possible,) home-cooked meals while sticking to a $400 monthly budget for all food including groceries, dining out, entertaining, vitamins/supplements, and gardening. I first saw Robert Kennedy’s (the publisher) name on Clean Eating mag and as the publisher of Tosca Rena’s books. Naively, I initially thought he was part of the political Kennedy clan, and never really gave him much thought. Then sometime last year, I heard of his death, which led me to do a little more research. I learned that he was married to Tosca Rena, and that there was no relation to “the” Kennedy family. Yesterday, I received a newsletter email with an e-book download – a collection of photos from of his many stages Robert Kennedy’s life, put together by his photographer friend, and his family. It made me want to learn more, so I read his wikipedia page, along with a blog post message from his cancer doctors. Bob Kennedy passed away from lung cancer, but he was not a smoker. He was diagnosed in Feb, 2012, and he passed in April. How very sad. He was brave not to accept traditional chemo cancer treatments, and tried to battle the cancer with alternative therapy. He had two children with his first wife, a daughter and a son. His son was in a tragic car accident which caused severe brain damage. His wife committed suicide after the accident. His son also passed in early 2011. If you have a chance, download a copy of the e-book; it’s joyful and sorrowful, but inspiring! Whole Foods Market burst into the news a few weeks ago when it announced that it’s requiring that all products sold in their stores will be labeled as such if they include any GMO (genetically modified) ingredients. This is great news, but at the same time, I’m disappointed because the mandate doesn’t start until the year 2018! That’s 5 years from now! Why such a long time? I mean who knows what’s going to happen by 2018. Our outlook on food has been changing so quickly. Consumers are coming back to local farms, and demanding better, safer food choices. Word is getting out about how bad our food system has become, and we are voting with our forks! It makes me wonder if it’s just a marketing stunt to soften the public’s reaction to their lackluster support of California’s Prop 37 for GMO labeling. Hmm. But nonetheless, it’s still a good thing. The word is that no food manufacturer will want to admit that their products contain any GMO’s, so in essence, labeling could possibly wipe out GMO ingredients! Wow, wouldn’t that be something! But I doubt it’ll be that easy. Monsanto is not going to take this lightly. After all, GMO’s are vital to their existence, and they have deep pockets. Perhaps deeper than Whole Foods Market. We’ll have to see where this goes. Short and Sweet this week! The subscribe & save order from Amazon made up a big chunk of my spending, so I tried to hold off buying any groceries unless it was really needed. A few days ago, I wrote about my decision to purchase a spiral ham from Trader Joe’s. The Trader Joe’s “uncured” ham was a compromise between the Smithfield supermarket brand and high-end humanely-raised Whole Foods offerings.